Greetings friends, friends of friends and fellow musicians. We’ve been up to lots of good stuff since we last spoke. All of a sudden the harvest time has come upon us as gourds grow out of the ground, soups and stews simmer on stoves and big, bushy beards are bared. Musicians, everywhere are beginning the retreat back into their hobbit holes to, “wood-shed”, developing their talents and honing their crafts with mind, body and soul. Hangin’ out in the sun starts to not be what it used to be and the charm of listening to music indoors with a cup of tea reveals itself. Don’t feel like you need to drink in your tea time all by your lonesome! Come on in and let us offer you the comfort of a soothing warm beverage while you explore and Enjoy the eye opening world of music at TIFEM this season. 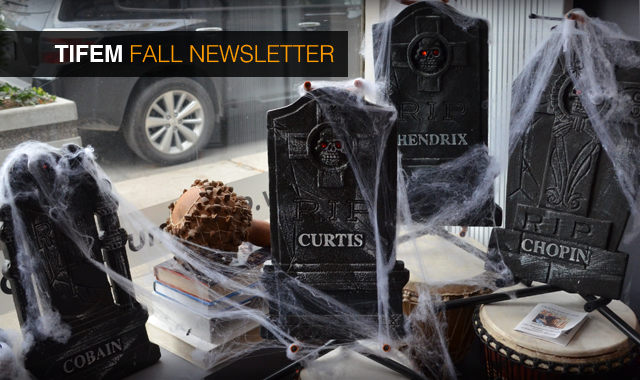 From Music Festivals to new group classes and more, some interesting developments are coming to light this fall. It seems that recently, a magazine known for its authority on style, the famous Vogue, has named Queen West the SECOND coolest neighborhood IN THE WORLD! 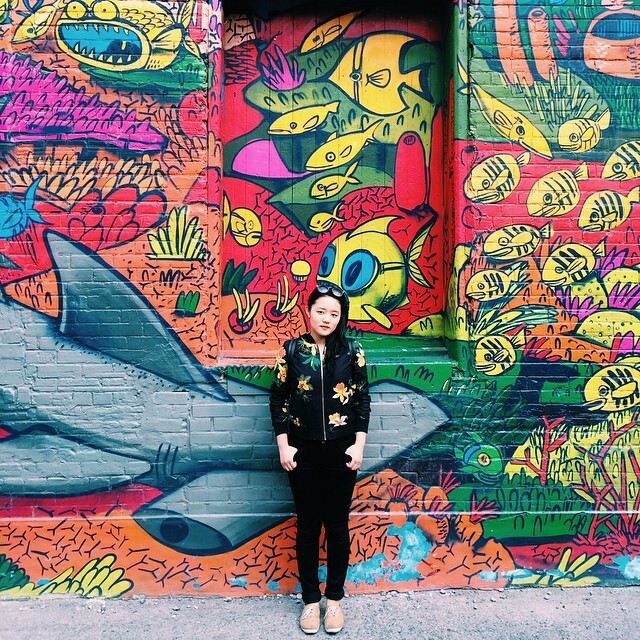 Coming in close behind the neighborhood of Shimokitazawa in Tokyo, Japan, Queen West was praised by the blog for featuring hidden art galleries, beautiful boutique hotels and having some of the most eye catching graffiti art on the planet. The booming Queen West is also a nucleus for many musicians coming together to contribute to Toronto’s colourful and very relevant music scene. Not long ago, Toronto Hometown Heros Death From Above 1979 held a concert in the parking lot of a Queen West gallery and the entire event was a rousing success. During the warmer months, a series of concerts is offered as part of the programming for Trinity Bellwoods park. Can you think of a better place to be studying music? If you’re planning on learning how to play, sing or produce, you might as well go to where the pulse beats loudest. No doubt we here at TIFEM are happy to be a part of this great neighborhood, it’s a perfect fit. Booming with artistic possibility, we are confident that we are doing our best to add to this mass of creative energy that surrounds us. This year as our student body continues to expand, and our group classes grow in numbers, we are able to house a space where musicians can get together not only just to play, but also for the good of the hang. The chance to meet other like minded artists to collaborate with could be the gateway to musical friendships that last a lifetime. 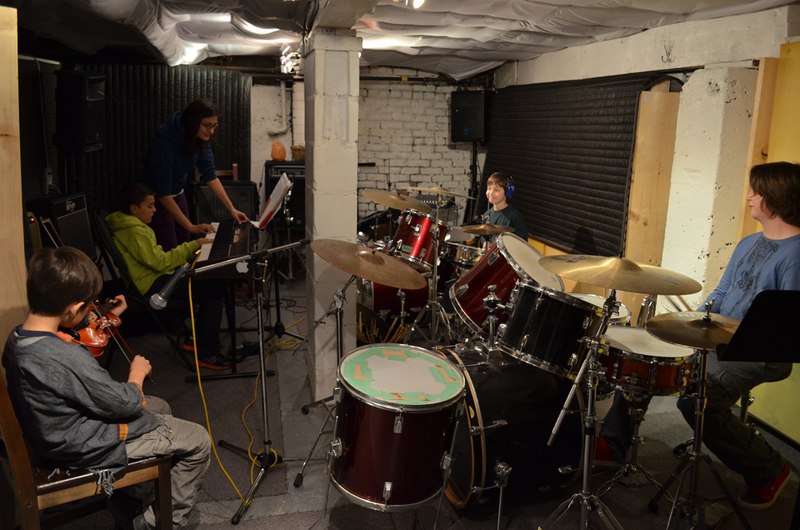 Here’s the lowdown on an update for our Youth Band for this coming Autumn. Some of the most successful ensembles here at TIFEM have been hand selected. Students of various disciplines have been grouped together, hit it off, and gone on to perform at the TIFEM Open Mics, and beyond. On numerous occasions now, we have even checked out some of these groups at their own performances at various venues across the city. That said, we have chosen to remove the drop-in option for the TIFEM Youth Band. Never fear though, we are now becoming more active in creating unique situations for those particular students who are showing an interest in ensemble play. If you think your child is one of these students, let us know. 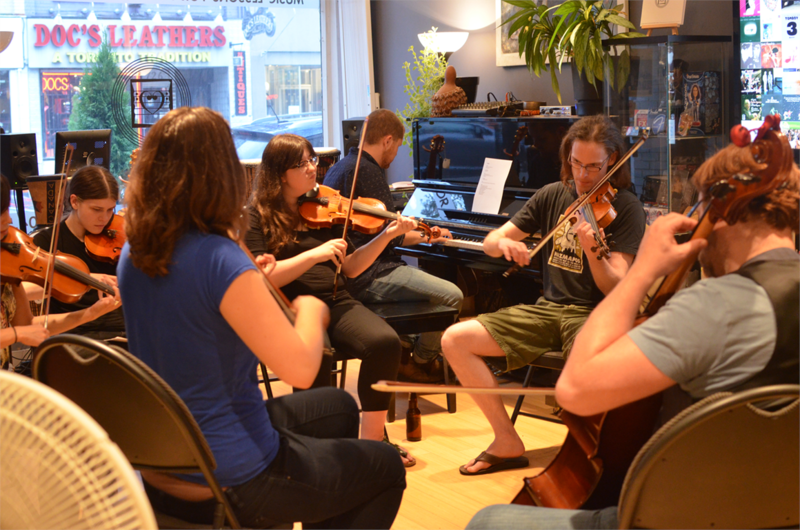 A group ensemble is an opportune way to take their playing and musicality up a notch, and an occasion to experience the magic of making music with others. At the moment, the newly formed World Fiddle Ensemble is joyously enveloped in a 3 month stint of exploring string music from around the world. So far the journey has proven to be a thorough one. The Ensemble, who meet on Wednesday evenings at 7pm, have not only immersed themselves in the music of each region they have studied, but also in their food and drink. During the month of August, the WFE let the music take them all the way to Cape Breton Island for a closer look at the rich folk and culinary traditions of that area. In September the Fiddlers gathered for a bountiful feast of poutine and Fin du Monde, when their musical expedition brought them to our nation’s party capital, good ‘ol PQ. Each month culminates in a final performance where the Ensemble’s repertoire for each studied region is performed in a traditional jam style. Next up, a visit to Scandinavia for a glance at Hardanger fiddles, Swedish meatballs and why not a tall glass of Lingonberry juice to wash it all down. If you’ve got a thing for food, drink and fiddling, join us for this distinctive experience. 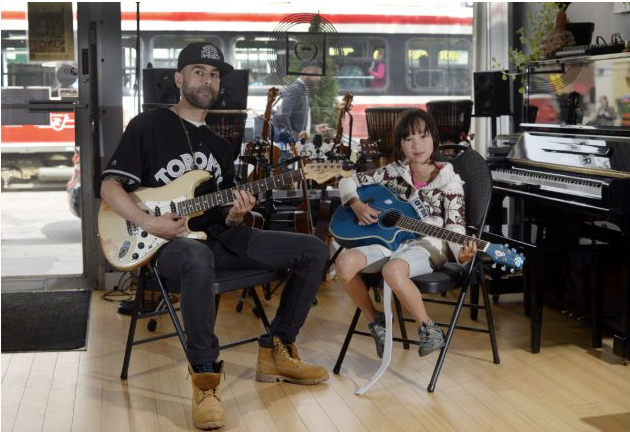 A special shout out to our very own resident hero guitar teacher, Roey Shemesh is in order. One morning this summer the young Yasmin realized that she had mistakenly left her guitar on the streetcar on the way to her lesson. Much to the chagrin of Yasmin, it seemed her guitar was lost forever. Going above and beyond the call of duty, Roey hopped on his nearby bike and chased the streetcar down literally almost a million blocks across Queen street. By the time the pursuit reached Jameson Roey had caught up to the Red Rocket and successfully retrieved the sparkly blue guitar. We’re really proud of our buddy Roey, and apparently so is the Toronto Star, who honoured the story on their front page! Oscar Emmanuel Peterson, or O.P., to close friends was an accomplished and influential pianist, composer and distinguished Canadian public figure. Born in Montreal Quebec, Peterson is often considered one of the greatest jazz pianists of all time, having a long and distinguished career spanning 60 years. During his illustrious career, OP took part in several important recordings and performed across the globe many times over. Peterson is credited with winning numerous Grammy awards. 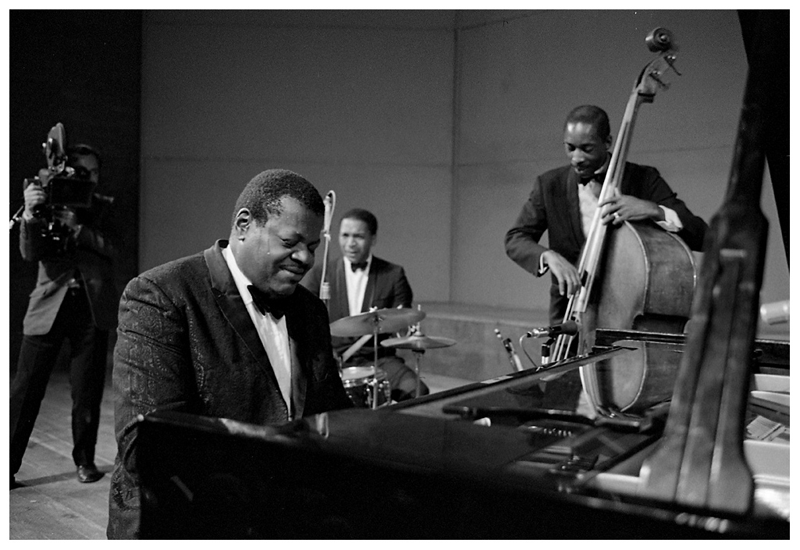 Oscar Peterson’s reputation as one of the leading pianists in jazz solidifies itself as one goes down the list of collaborators that Peterson had played with during his working life. Such heavyweights as Joe Pass, Clark Terry and Ray Brown, are among the legends that could be seen swinging by Oscars side. Peterson, although having roots in Montreal, has deep connections to Hogtown. From 1991-1994, Oscar was named Chancellor of Toronto’s York University, which is the honorary head of the school. Just a few weeks after OP’s death, the Province of Ontario introduced a 4 million dollar performance scholarship in Peterson’s name. In addition, 1 million dollars in scholarship funding was set up for underprivileged York students, in tribute to Oscar. Due to kidney failure after years of complications as a result of a stroke, Peterson passed away in 2007. He left a wife and eight children in total, along with a legacy that will remain in our city’s infrastructure for all time.